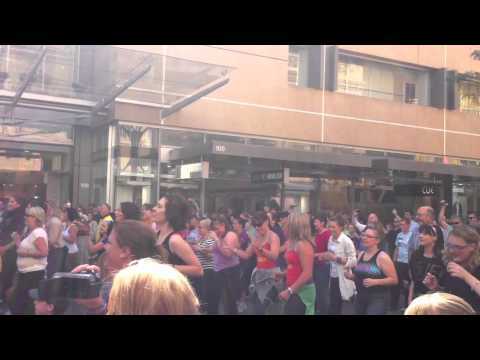 Congrats goes out to Bayside Zumba for pulling together a great flashmob event here in Adelaide. Rundle Mall was swamped by people dancing, chanting, clapping, cheering… it was pretty full on! As would be expected, a huge crowd watched as the spectacle happened!